More than 2200 years ago, an ancient spiritual master from India revolutionized the world with his message of Spiritual Love, equality and fraternity. But nowadays it seems that his message of peace still has not been propagated throughout India, where rapes and murders of girls and women are frequently occurring. But what is most worrying is that behind these events, there is something macabre, which is the discrimination against a people that is considered untouchable and who suffers the worst kind of oppression. In this way, it is time for India to return to be inspired by spiritual leadership very similar to that Siddhartha Gautama performed. The Maitriyana Spirituality has such Purpose (Dharma). But for this to happen, the government of India should contribute in generating a climate of Self-determination and Liberty, without interfering with the creative and evolutionary flow of the people. Spirituality is the framework which will lead India towards a pacifist, just, cultured and ecological new civilization. It is possible to solve the social problem which India is suffering, but it is imperative that the Indian government has a fundamental will to struggle against discrimination and the caste system. Although the Constitution of India is against this unjust system, events which should not happen still remain happening. This means that everything has been done before is not sufficient, being necessary to continue taking revolutionary measures for the welfare of all persons, which is definitely the only thing that can ensure the survival of humanity. While governments continue to allow the existence of the caste system there will still be oppression, alienation, violation and exploitation of certain populations, which deserve that their basic human rights be respected. The Maitriyana Spirituality is a countercultural force that will not endorse the presence of the class system, which is one of the major ills of the world. In fact, Maitriyana is a Way of Reconciliation that overcomes all sorts of division, so that the caste system is a fundamental contradiction from our wise and compassionate viewpoint. India shall not be a world power if it cannot assume these spiritual values that are contrary to segregation. King Ashoka perfectly understood this and he converted India into a peaceful, just, cultured and ecological kingdom. In this way, it is entirely feasible to eliminate the caste system, which is a crime against humanity. India can make changes, but it needs the help from its government as well as the selfless guidance of Buddhist Spirituality, such as it happened more than two thousand years ago. Therefore, Maitriyana presents a Peace Project for the India of Future, in order to help Indian people to achieve this difficult task representing Equality and Liberty, by overcoming the mind poisons which are greed, hatred and unconsciousness. The development of the coming dharmic civilization implies that the India of the Future should not want being an economic power or a weapons power, but a spiritual potency, that is to say, a country that is super-developed by the values of peace. The great nation of India has historically followed the wisdom practice of the great Awakened Beings (Buddhas), so that the Maitriyana is not just a movement with utopian ideas: we are showing how to achieve Peace, harmony and the Evolution of humanity in the here and now. This is our main Purpose (Dharma): the Salvation of the world. If India returns to listen to the teachings of the spiritual masters it will be able to return to be an ethical example for all peoples. The solution to the castes problem does not come from any economic development, but from a spiritual conversion of society. If India does not achieve peace within its own frontier, then it will be impossible to achieve peace with the neighbouring people of Pakistan, implying that if there is no spiritual transformation of society, it is highly likely that India and Pakistan will enter the nuclear war. Thus, we beg the government of India that it leads its people with wisdom and not with bureaucracy. The people of India need ethical righteousness and not only the creation of jobs. The Buddhist Spirituality, since 2600 years ago, is the embodiment of brotherhood and goodness in the world, showing that it is possible to overcome any dramatic situation through the power of compassionate Love and the equanimous Wisdom. The Maitriyana continues with this dedication towards World Peace, humbly hoping that the world ceases to be a place where no one listens. But solving the huge problem of the caste system implies that politicians develop courage and bravery, assuming the supreme duty to seek the true welfare of the whole people. That is why, without a dialogue with spiritual masters, this will be impossible. In India of Future, the caste system should be completely prohibited, respecting all human beings regardless of their economic or cultural level, or their type of religion. In India of the Future, it must be accomplished what is stated in the Constitution, but at the same time it should be considered that the caste system is a crime of treason against the welfare of the nation of India. In India of the Future, those individuals who have a history of racism or discrimination towards any caste, they will not be able to be part of organisms of public good such as police, the army, the government and other public facilities. The only possibility is by performing a spiritual rehabilitation process under the guidance of a spiritual master. In India of the Future, there should be a supervision of international organisms analysing if there are still violations of Human Rights. In India of the Future, there should be the signing of a peace agreement with the neighbouring nation of Pakistan, by agreeing not only the total prohibition on the use of mass destruction weaponry, but also the refusal to resolve any dispute by military means. This implies that any conflict between the two countries shall be resolved only in international courts. In India of the Future, it must be destroyed all kinds of nuclear weaponry, by agreeing the refusal to build chemical or biological weapons with the neighbouring peoples. In India of the Future, it will be required the guidance of spiritual masters from different traditions who have enlightened this beautiful people for thousands of years. This will have the aim to maintain the just behaviour, thus initiating a period of evolution of the whole society. The Peace Project for India of the Future is a spiritual intervention that the Maitriyana performs with the Purpose (Dharma) of putting an end to the structural violence that the society of India is suffering, place where the caste system remains enormously strong. This provokes that there are abuses, rapes and murders against the oppressed castes, which is something that breaks our hearts and we cannot allow this happen. The Maitriyana, along with the Jesuit Catholicism, is leading a labour of World Peace, so that India will have our help to recover its spiritual values within the whole society. The first step of this spiritual guidance is as follows: it is necessary to eliminate the caste system right now. We cannot lose more lives. Although I do not live in India, as a citizen of the world I feel the deaths of the citizens of this country as the deaths of my own brothers. Siddhartha Gautama renounced to both the caste system and the metaphysical religion that justified it, by opposing this cruel mechanism which governed the India of the past and which still has vestiges in the present. The Path of Buddhist Spirituality was then an alternative pathway to the oppressive system of caste culture, by establishing a commune (sangha) in the world, able to give an ethical example and work in pursuit of the supreme achievement of Liberty and the Awakening of all beings. The lifestyle of Detachment is a manifestation of renunciation to the caste system, being the path of compassionate wisdom which builds a better world, free from the powerful oppression that the caste system generates. The Maitriyana works in favour of global Liberty, demonstrating that spiritual masters are the living proof of the pacifism veracity. Ultimately, the Buddhist Spirituality has always been the light house of hope for the oppressed peoples of the world by teaching them that it is possible to change any deterministic tendency in history. Siddhartha Gautama, like all revolutionary one, went always against the current, by establishing a Path of Liberation for all humanity, when he taught that it can be built a better world in the here and now. 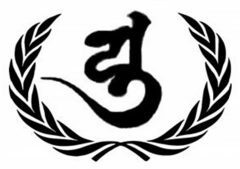 The Buddhist Socialist Revolution is a pacifist force seeking to establish a new order lacking all hypocrisy, so that they are taught contemplative and ethical practices able to constantly transform the inner and outer world. Unlike totalitarian regimes, vitiated by violence and corruption, the Buddhist Spirituality does not consider that it can be imposed a new order. In fact, this is contradictory with respect to the essential Liberty of the human being. Thus, the peoples must be those who decide if they want to change or not. The work of politicians is then to raise the possibility and wait. But, spiritual masters are needed in order to support the practices of goodness in the world. These are the most revolutionary subjects in history: the Free and Enlightened Beings, and they have taught that the Way to the Pure Land is by renouncing weapons, social injustice, ignorance and pollution. Buddhist Spirituality is then the most extraordinary Way towards social transformation, by demonstrating that pacifism and renunciation of caste system are fundamental to abolish violence and oppression. The Maitriyana helps to go beyond the limited approaches which cultures and castes provide, teaching that an Awakened Being (Buddha) is a citizen of the world and not someone identified to one particular country or a power structure. As from the teachings transmitted by Siddhartha Gautama, the Buddhist Spirituality is positioned as a critical movement, which never is conformist with the status quo, by being against the war, social injustice, ignorance and pollution. Upon receiving the revolutionary fire of the Awakened Being (Buddha), the Maitriyana bears the torch of the non-violent struggle for the Salvation of the world, so that it differs from the usual religious position associated with nationalism, stereotypes and the justifications of the armed conflict. Siddharta Gautama had a radical vision of how to create a pluralistic society without caste or nationalism, thus showing that Spirituality is an attitude with which things are done here in the world and not a mere way to go to heaven. The Maitriyana is a revolutionary counterculture teaching that the Awakening is precisely the critical abandonment of egocentrism, dualism and consumerism. Therefore, Buddhist Spirituality is deeply committed to self-realization, the Truth and the Cure (Nirvana) from all the ills that society is suffering. Criticizing the status quo, such as the weapons system or caste system, requires courage and bravery that very few possess, but it also requires a profound faith that it is possible saving the world. This redemptive, revolutionary or even messianic faith has been always present within the Purpose (Dharma) transmitted by Siddhartha Gautama. Thus, spiritual masters doubt about the veracity of governments, but they never doubt about whether it is possible to create a better world. The Maitriyana tries to open the eyes of all humanity, so that its message is of a great importance for the future of the world: there will be no survival of society if the oppression of the caste system, racism, sexism and poverty continue. Just like Gautama renounced to the mundane power and he devoted his life to the welfare of the whole people, the Maitriyana has a radical vision which shows that a mere human being can contribute to world peace, since spiritual awakening produces an irreversible mark on the world. The Buddhist Spirituality helps people to stop hiding in mundane distractions, such as the selfish illusions of pleasure or personal wealth, in order to become a force of peace in the world. However, preach against war, as Gautama did 2600 years ago, is not an easy or comfortable task, because it requires going against the current. Thus, the India of the Future must leave any comfortable position, genuinely striving for peace. As a spiritual master, I am at disposal of the Indian government to advice, instruct and stimulate it, by informing about what kind of ethical actions will bring Peace. I am willing to give my life for the Peace Project, so that you can take advantage of our unconditional spiritual guidance. The Maitriyana is a renunciation of the capitalist civilization, which is motivated by greed, hatred and delusion, courageously proposing the creation of a better world guided by the teachings of Siddhartha Gautama, the hardest working person in history who devoted all his time and energy in helping to neighbour. The Buddhist Spirituality of Gautama revolutionized the social order of the Ancient India because it completely abandoned the caste system. This is the historical foundation of the Peace Project that the Maitriyana is carrying out for the India of Future. Notably, Gautama was against the caste system, treating everyone equally, even the kings of his time. Thus, Buddhism from India flourished as a spiritual force against war and social injustice, both denouncing the oppression of the caste system and the tyranny of superstitious rites. Therefore, the supreme duty of Buddhist Spirituality has always been to advocate for equality and emancipation of all human beings. During all periods of history, society has been influenced by a progressive minority that has influenced the great popular masses according to the different circumstances. The spiritual masters are inheritors and continuers of the revolution of Siddhartha Gautama, because our supreme aspiration is the welfare and evolution of humanity. The Buddhist Spirituality embodies the pole of Liberty, reason why our desire is always to claim for the social justice. The Maitriyana is the synthesis of all the multiple progressive tendencies of history, by purifying us from errors, contradictions and deficiencies of the past movements. Our beyond, our eternity, is overcoming all the barriers and conquer the world Peace, impelling the permanent progress of peoples by reorienting them towards justice and liberty. In this age which marks the end of a civilization, the Free and Enlightened Beings establish an action program on the basis and goal of the Awakening of the whole society, so the supreme symbol of our militancy is the emancipating struggle. Obviously, the Maitriyana as a psychological and philosophical movement is much more than that, but as a metapolitical, revolutionary and ecumenical movement it embodies the acceleration of the spiritual maturity characterizing the realization of the progressive possibilities of a given period. Mr. President, please allow yourself to be guided by the compassionate wisdom of the Buddhist Spirituality, because I can assure you that all what Maitriyana wants is the Awakening of your people. We are in the highlight-point of history, and it depends on us building a better world or let humanity destroy itself. Hopefully, India can return to a Buddhist leadership, such as King Asoka did more than two thousand years ago.